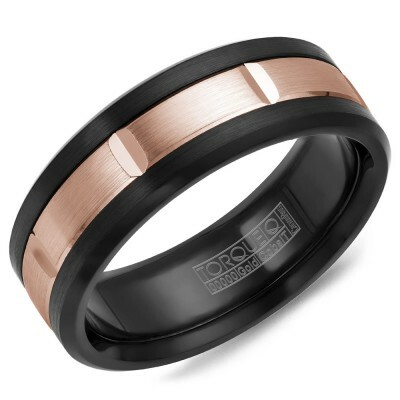 A Black Cobalt Torque Band With A Rose Gold Inlay. A Black Cobalt Torque Band With A Rose Gold Inlay. Sizes available are 8 to 12.75. Please contact customer service after placing your order to verify correct ring size. We offer free insured shipping on every order over $100 within the United States.